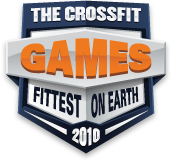 For the first time in history, sanctioned CrossFit competition moves to Southern Europe. For the first time in history, sanctioned CrossFit competition moves to Southern Europe. Milan, Italy will host the South European Sectional Qualifier. Athletes in the region have a challenging road to qualification, the events are listed below.